Welcome to the Digital Duchess Freedom Academy! This is my four month program which will help you stop trading your time for money, it will kill the overwhelm and helplessness you feel right now, and it will help you build a sustainable, lifestyle friendly Online business that will have sales leads coming in every month. You will be able to live life on your terms and not be a slave to the 9-5 rat race. Are you working crazy hours every week just to keep your head above water? Is your family time affected by the amount of time you spend on your business? Do you feel overwhelmed by the world of digital marketing and online business? Are you needing a holiday but you can’t afford to take the time away? And…are you completely and utterly stressed out of your head? Do you want to build a 6-figure coaching, speaking or information business? Do you want to attract high paying clients? Do you want more free time to do what you want in life? Do you want to go on luxury vacations every year? Do you want to spend more time with your family and not worry about your business all the time? 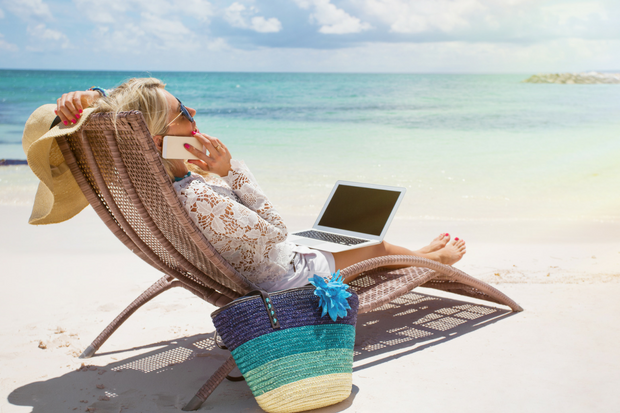 Or do you want to work from anywhere in the world and stop trading time for money? If you have answered ‘Yes’ to any of the above questions then the Digital Duchess Freedom Academy is the perfect fit for you. Make money online and run a sustainable business that will generate passive income. Build a profitable coaching, speaking or information business. Over the next four months you are going to learn techniques and strategies that will transform the way you do business and the way your business operates. I’m not saying you will become a millionaire overnight. This is a journey and one which will require effort on your part. However, I will give you the tools and guidance that will allow you to move forward in your business in way that will make you work smarter, not harder. How to Find Your Confidence to Get More Done & Magnetically Attract New Clients and Opportunities! Simple and Fun Goal Setting Strategies to Create Your Most Spectacular Year Ever! 7 Ways to Overcome Procrastination! Cash Calendar: Your 12 Month Marketing + Profit Plan! Planning Your Best Year Ever! Double Your Traffic, Double Your Audience! Hot Copy: How to Make Your Sales Messages Sizzle and Get Your Clients to Say Yes! 30 Day Facebook Ads Challenge: Funnelling Your Way to Passive Income! What Should I Post on Facebook Today? How to come up with Engaging Posts that Get Shared! Presenting YOU! How to Host Your Own Fun and Easy Webinars to Quickly Grow Your Email List AND Sell Your Products and Programs Over and Over Again! Facebook Live: Live Video for Fun, Fortune and Fandom! Google Hangouts Make Coaching, Training and Selling Easy! Fully Booked! How to Have the Sales Conversation that Actually Gets You Paid! How to Create Hot Selling Programs to Earn Passive Income AND Get New Clients! But who am I and why should you take advice from me? I’m not a natural digital marketer, I’m actually a journalist who, for the last 15 years, has worked on TV, Radio, Newspapers, and now Online. In fact, my very first online business failed spectacularly and left me with a mountain of debt which was pretty hard to take. However, I dusted myself down and decided I was going to take a different approach and over the last five years I’ve spent thousands of dollars on working with the best digital marketers and online business coaches in America and Britain as I wanted to know how they could say they made money while they slept. Well now I know it’s true as you can make money while you sleep as I am doing exactly that. Now, I’m not telling you that to boast, I’m telling you that because it’s true and now I want to show you the exact steps on how you can go about doing just that. Now, I’m not going to tell you that you will become a millionaire overnight because this is a journey. You have to be committed and stick with the process as I want you to have an online business that has sales leads coming in every month and one which is lifestyle friendly. I’m going to show you how not to make the same mistakes I’ve made in online business and I will guide you on how to implement simple changes in your business that will make the world of difference. Do you need help automating your Online business? Would you like to create an online course or signature program to sell? Are your digital sales funnels making you money? Or do you struggle with copywriting and creating content that builds trust with your tribe and gets you sales? I can show you how to stop trading your time for money and instead I will give you the tools and guidance to help you create a business that will give you true financial freedom. Do you need more money to go on vacation? Would you like to have more free time to spend with your family? Would you like to buy your dream home? Or, do you want to live the laptop lifestyle and work from anywhere in the world? ​Inside every one of us is a blueprint that can help us build a lifestyle friendly business and one which can give us true financial freedom. You just need the tools and guidance to help you get there and this is exactly what the Digital Duchess Freedom Academy can help you with. Be Inspired, Take Action and Start Building the Business that will Support Your dreams. Some Places You Might Have Heard of Me!